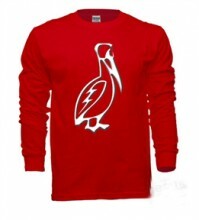 Pelican Long Tee - Red - STØLÅS Watch Co.
Click the button below to add the Pelican Long Tee - Red to your wish list. Glad I got this shirt. Was on the fence on spending anymore money but well worth it.